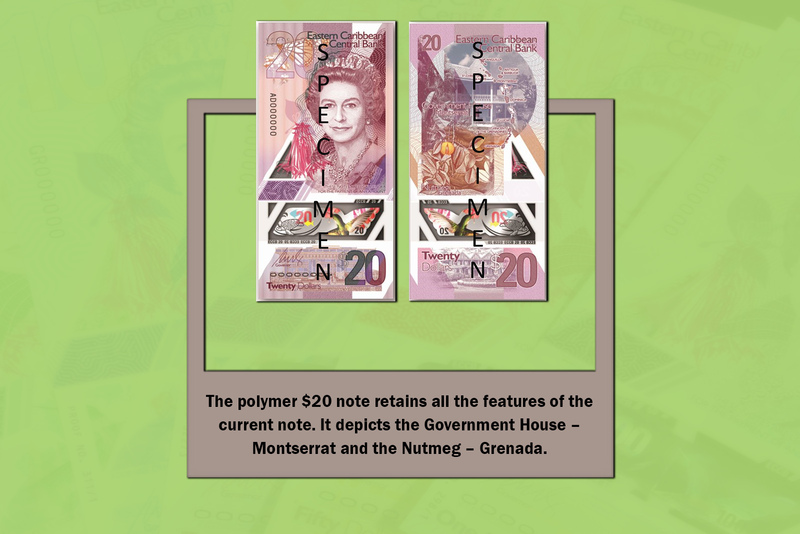 Portrait Orientation – The notes are designed with a portrait orientation. 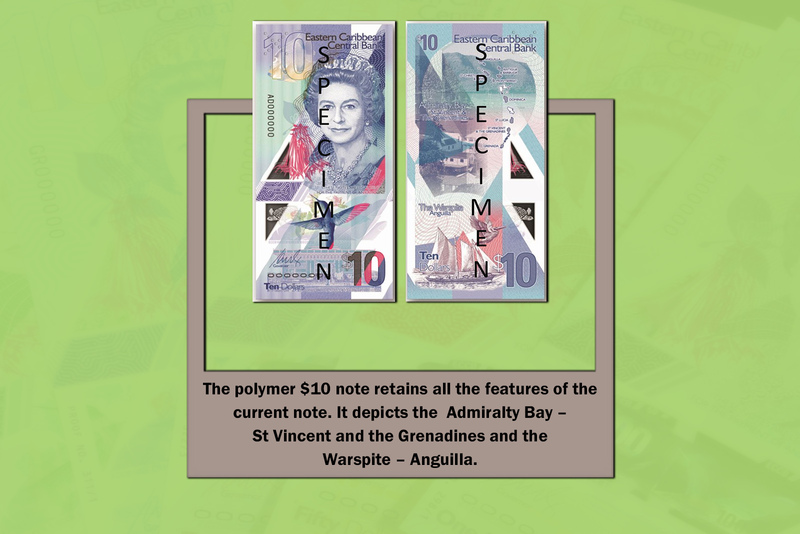 The current paper banknotes are landscape oriented. 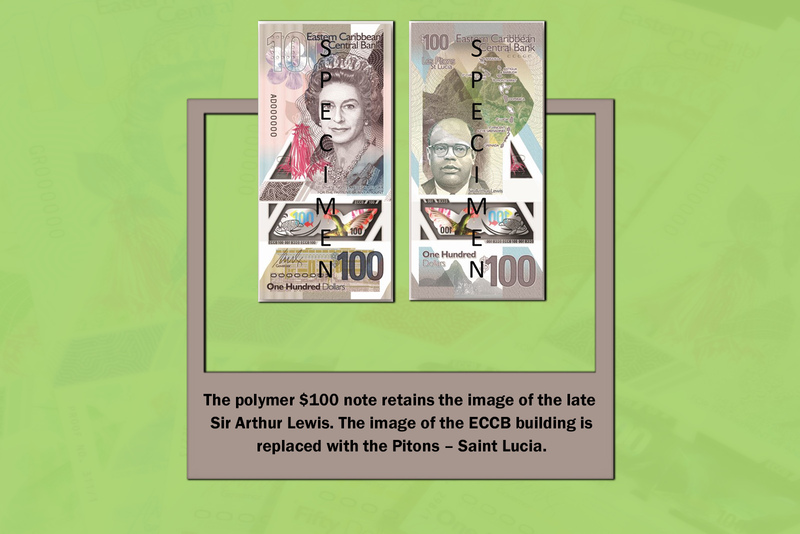 Upgraded Images and Landmarks – The images and landmarks at the back of the banknotes remain the same but have been enhanced. 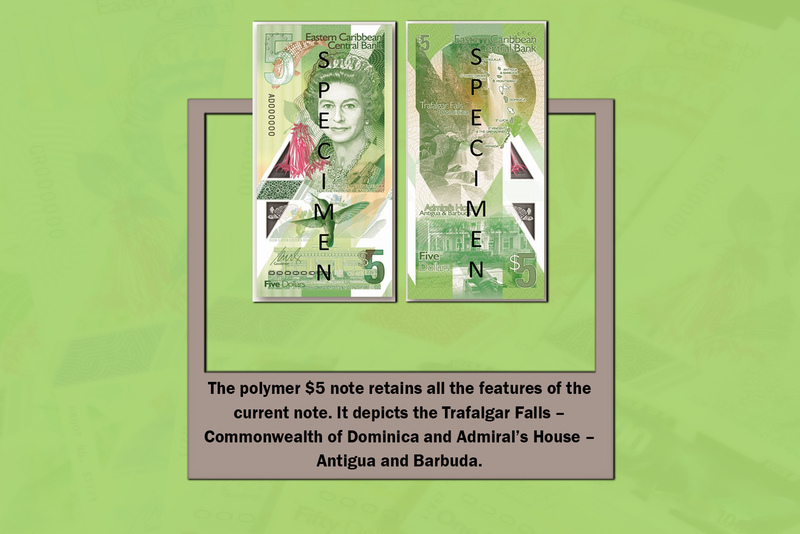 Unique Tactile Feature – Each note will bear a unique tactile feature (raised bumps) specifically designed to assist the blind and visually impaired individuals with identifying the denomination of each note. These raised bumps form familiar shapes. Holographic Foil Strip – This anti-counterfeiting feature is on the $20, $50 and $100, which are most susceptible to counterfeiting. 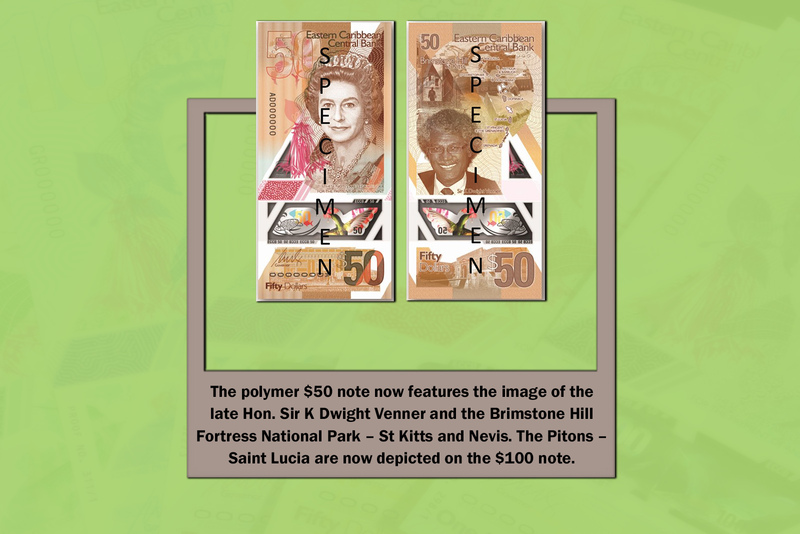 New Image on $50 – The $50 now depicts an image of the former Governor of the ECCB, the late Honourable Sir K Dwight Venner in honour of his legacy and service to the Bank. New Signature – The banknotes bear the signature of Governor Timothy N. J. Antoine.